From one orange wire to ground you should see a constant 5v with the ignition on. The other orange wire should be the one you are looking for. Tam wrote: ACR SRT's didn't have sun roofs? Hmmm. But yeah, that white ACR is cleaaaan. what do you mean by not boosting properly? Yeah I figured it was mostly a whole new set of people around here so a new introduction was in order. Wanna put some pictures up of the TPS/MAP wiring? The body shop may have had to unplug the PCM for the repairs have you checked to see if the connectors are all the way in? I had a similar issue and thats what it turned out to be. That looks like it would be perfectly functional as long as you are on a S0/S2 wastegate. Topic: lowering on stock srt4 struts question. Although I have been merely a lurker for the past couple of years, I'm in the market for a 2gn now and will be back on the boards. I still have the ACR and it is still the most awesome car i've ever owned. Topic: What was your first car. 01NeonSnooZer wrote: Is there a fix that doesn't involve pulling and disassembling the transmission? Simple solution, get one of Maddog's short throws with rod brakes. They feel cool shifting too. 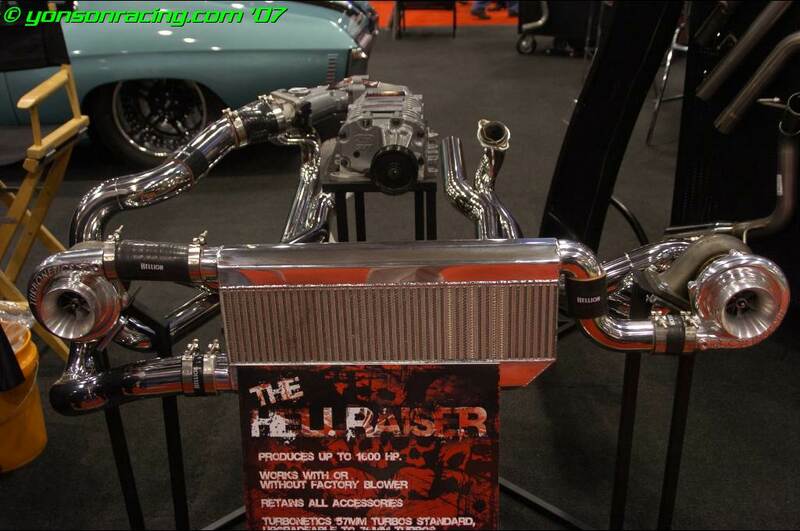 hellion power systems has done a bit of research into twin charging and they had a little stand at SEMA. Topic: O M F G! Adult. NSFW. you're not going to be able to tell if there are any real leaks unless you put the system under pressure...just do a real boost leak test. Topic: I finally got her !!!!!!!!! my bet is for the vac system up towards the master cylinder, did you do a real boost leak test? and t-bolts on every joint will help even the oval ones, just squish them down a bit to oval them out, the people that claim otherwise are creating some sort of user error.